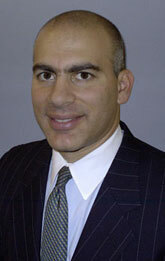 Mr. Domolky is the Founder and Managing Director for Liquid Capital Group. He is a seasoned technology and venture capital executive with over 20 years of experience in senior management, business development and financial roles. Mr. Domolky has extensive experience building and maintaining over $100 million of venture capital and private equity fund-of-funds for institutional, municipal and individual investors. Since 2000, Liquid Capital Group has been managing portfolios of top venture funds and superior emerging information technology companies for high net worth individuals and families. Mr. Domolky is responsible for all operational aspects of the investment funds including: due diligence, investment selection, risk management, investor correspondence, investor reporting, accounting and fund administration. Between 2006 and 2009, Mr. Domolky was also a Managing Director at GKM Newport. GKM Newport was a venture capital and private equity fund-of-funds manager with over $1 billion in assets under management. Mr. Domolky was responsible for expanding and managing the day-to-day operations of the firm’s fund-of-funds offerings and assisting with client services, due diligence and portfolio monitoring for over $800 million in separately managed accounts. He was a member of the Investment Committee for GKM Newport Fund V, LP, where was responsible for due diligence, portfolio construction and day-to-day operations of this $25 million fund-of-funds. Also at GKM Newport, Mr. Domolky was the primary point-of-contact and chief architect for a $60 million separately managed account for the Commonwealth of Pennsylvania. In addition to establishing a distinctive track record at Liquid Capital, Mr. Domolky has been a Principal at NextStep Partners, LLC. NextStep Partners is a business development and financial advisory firm assisting emerging technology companies. Prior to joining NextStep Partners, Mr. Domolky served as the Vice President for Business Development and the Vice President of the Mid Atlantic Division for NEON Communications, Inc. (NASDAQ: NOPT). Prior to joining NEON, Mr. Domolky was the Senior Director for Business Development and the General Manager of the Carrier Sales Division at Winstar Communications, Inc. (NASDAQ: WCII). Mr. Domolky has also held a variety of finance, marketing and sales positions with MCI Communications, Inc. (NASDAQ: MCIC) and was a consultant to the energy, pharmaceutical and automobile industries while at Putnam, Hayes & Bartlett. Mr. Domolky holds a B.A. in Economics and Environmental Studies from the University of Pennsylvania. He has also studied at Harvard University and the University of Connecticut. Mr. Domolky lives in Fairfax, Virginia with his wife and their two children.